When I was invited to write a guest article about Fan Engagement for Pico’s blog, I was wondering what the right content would be. So I did what I like to do when trying to grasp a topic on a deeper level: I researched and analysed the already existing content to get a clearer picture on the status quo. After having screened multiple website and reports I finally ended up with three publications that I found the most valuable and insightful. What I realised then fascinated me: One of the publications was from a tech giant, one was from a consultancy and one was from a sports opinion leader. I was amazed by this variety of companies who have Fan Engagement on their radar and are digging deeper than the vast majority of articles. For me this clearly shows both the significance and the broader impact the topic has reached by now. I decided to quote some of the essential passages of the three publications in order to provide the readers of this article with the key insights from these industry leaders. I highly recommend visiting the respective websites and full articles to get a more holistic view on the content. Happy reading! 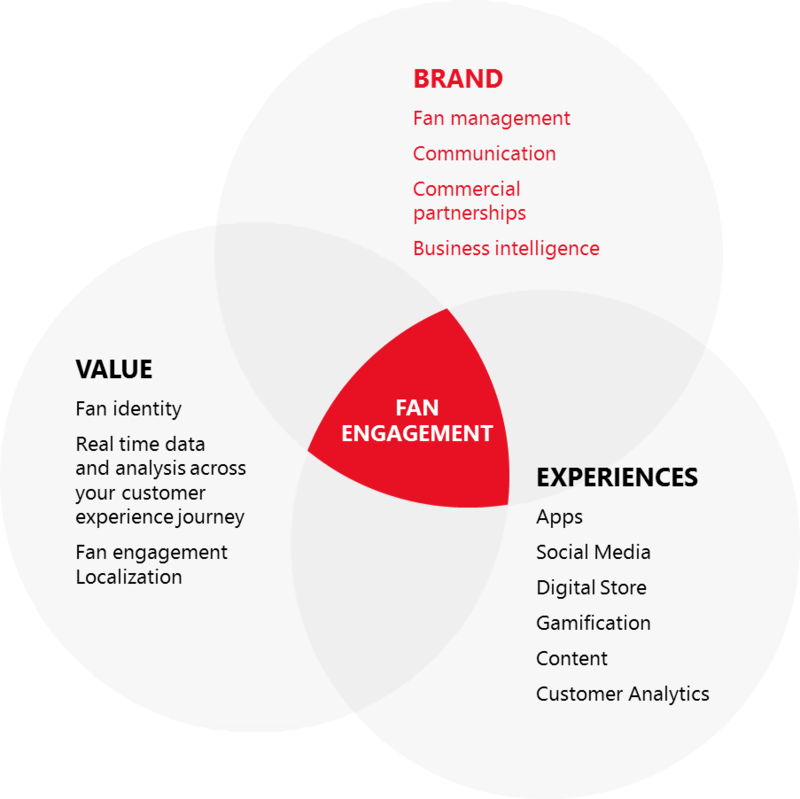 Differentiated fan engagement happens at the intersection of brand equity, unforgettable experiences, and value creation. What can you do to win the hearts and minds of your fans? Start with your customer experience: The success of the business rests on how well it creates value and serves the needs of the customer across all physical and digital channels. Learn from customer behavior: Take advantage of the wealth of insights available through social media and all digital channels, or learn through better integration and analysis of your existing customer data. Service your customers in smarter ways: Use technology to personalize unforgettable experiences for your customers and create deep emotional interactions. Transform the relationship: Use new technologies, such as mixed reality, artificial intelligence, advanced analytics and the internet of things, to transform how you interact with your customers and how they experience your people, products and services. Change customers' lives: When you focus on high-value activities, you can create breakthroughs in the daily lives of your customers. When you put your customers authentically at the heart of your brand, show up where they are and make the difference by deeply understanding and synthesizing their desires into providing unforgettable experiences – you create a culture of ravings fans that endures, which inspires sustainable growth and real profitability. Our connection to our fans around the world has extended our reach, engaged more fans, and increased revenue. We leverage data managed by many different organisations to better understand our fans, target offers to them, and promote the franchise and partner businesses. We have compelling services and make our fans feel that they are an important and strategic part of the action, whether at the venue or around the world. Home field advantage is no longer simply packing a stadium or arena with your best fans. It’s about engaging distinct groups of fans inside and outside the game venue, during winning and “rebuilding” seasons, 365 days a year. No two sports fans are alike, and sports organizations should be agile in adapting and evolving their offerings to address different fan segments. 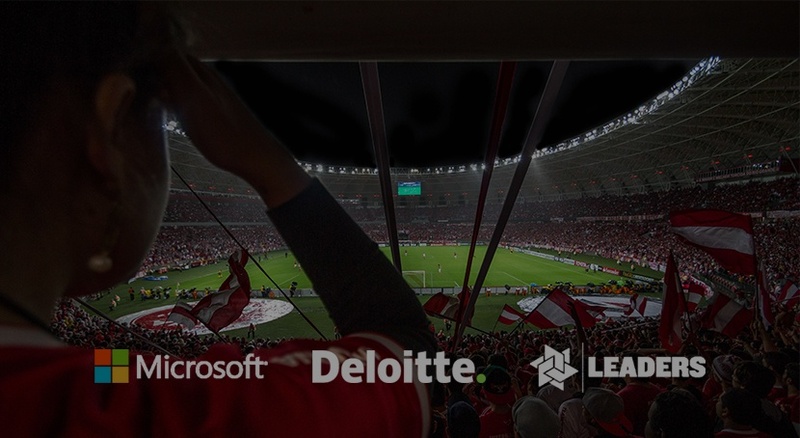 Based on learnings from Deloitte’s survey on fan engagement in sports, we have identified moves teams and leagues can make to connect and deepen their relationship with fans. Know your target: To design effective engagement strategies and programs, teams must be clear–and specific–regarding the fans with whom they seek a relationship. Make it personal: Programs designed to speak to everyone run the risk of speaking to no one. interaction. What lies beyond it? Engage year-round: Meaningful relationships don’t start and stop with the sports season. Over the last ten years, most sports teams have developed an even sharper focus on the bottom line. This focus motivates leaders to sign a popular free agent in the off-season or build state of the art, LEED-certified stadiums to further the appeal and financial viability of the organization. If similar focus and investment is diverted toward a thoughtful strategy for understanding, targeting, and customizing experiences for priority segments within the broader fan base, teams will witness improvements in the way those programs perform—to the satisfaction and enrichment of both teams and fans. Has there ever been a more exciting time to be involved in sports as it smashes together with gaming, music, and entertainment to create the ultimate fan experience? Sports organizations have the opportunity to pivot and take advantage of a strong foundation in fandom and the massive disruption that technology has caused - to be future fit and lead the charge in building personalized and curated fan experiences, not just through venues, but on a global scale. This will require a better understanding of the fans, the development of new skillsets, and an organization that is willing to learn from the customer journey transformation taking place outside of sports. Research shows that some well-known brands and opinion leaders not only have the topic on their radar, but are actively driving it. This puts Fan Engagement into an exclusive circle of only a few SportsTech disciplines that is already discovered by a broader audience outside of the industry borders. Benjamin is providing the world with data & insights about SportsTech startups and the surrounding ecosystem. He has been working as a Management Consultant and Strategy Expert for large corporations before joining the startup community in various positions. 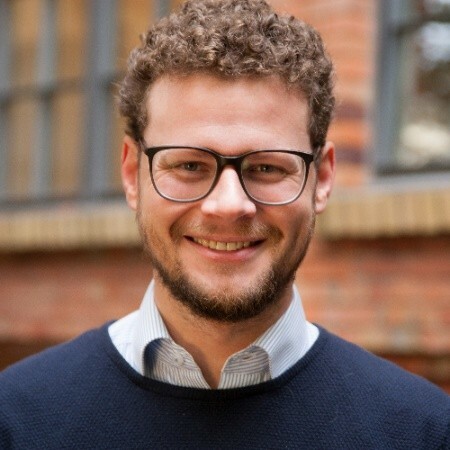 He is based in Berlin where he runs his project SportsTechX.